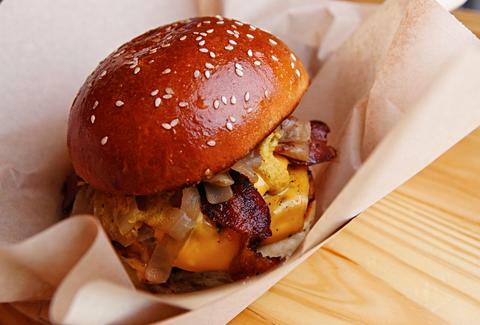 Dallas is a burger force to be reckoned with. 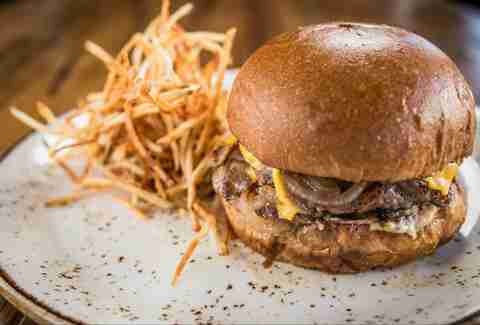 From casual gastropub to upscale dining establishment, restaurants that land here seem to know they better have a top-notch burger on the menu to please the carnivorous masses. We've come a long way from the days when the only burger option was Whataburger (not that non-stop Whataburger would be much of a problem), thanks to restaurants that turn out house-ground meat, artisanal buns, and all manner of chef-crafted toppings. Here are 11 places to discover the city's best meat patties. It's a testament to our obsession with burgers that Dallas would go absolutely nuts over the cheeseburger at a joint meant to spotlight hot dogs and sausages. Considering chef/owner Brian Luscher also hatched a winning burger over at The Grape, though, we guess it's not too far-fetched a plot twist. 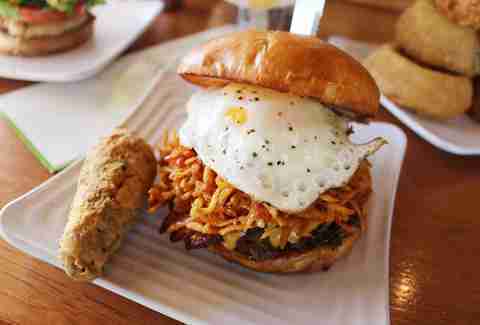 Essentially breakfast on a burger, this sandwich stacks a morning serving of bacon, fried egg, hash browns, and ketchup on a patty, and delivers it hot and ready for a yolk-breakage Instagram shot. It's a toss-up whether you should pair it with beer or OJ. Jack Perkins' old-fashioned burger shop griddles juicy patties (you decide if they're pink or not) on a decades-old flat-top, and keeps things simple from there, from toppings to crisp tater tots to real-sugar sodas on tap. It's what's inside that counts, right? 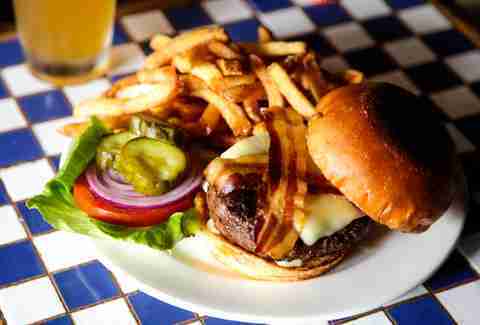 Well, the rich stuff from inside meat bones adds another level of umami to the burger at this Uptown gastropub. Find just the right IPA on the smart craft beer list to take your taste buds into the stratosphere. 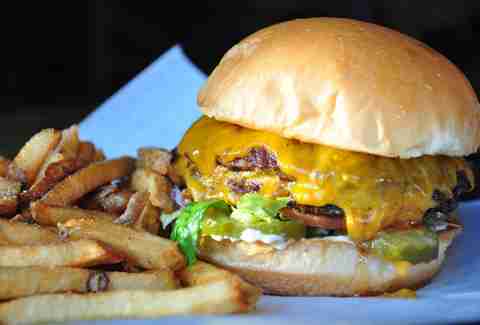 Since its arrival on the exurb food scene in summer 2015, this burger has gained raves from Denton and Dallas diners alike -- and considering the trek for Dallasites, that's saying something! 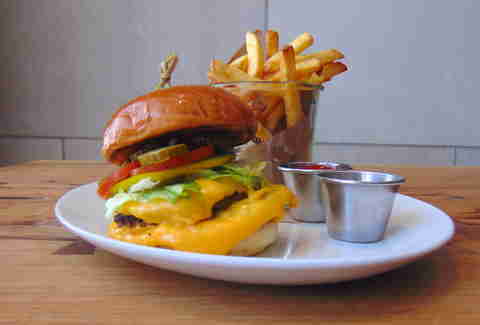 If sweet onions, house-made pickles, and good ol' American cheese don't set your tongue wagging, the brewpub's selections of beer and cocktails with which to pair the burger should. Texas-raised beef doesn't get more delicious than when served in a double stack with double cheese, as CBD's tribute to the In-N-Out classic is. When it's paired with the best Kennebec fries in town, there's no way you're leaving here without logging at least 500 calories. The surrounding neighborhood may not be the most prime corner of real estate, but one structure that's lasted for decades is this no-frills burger joint with hefty, two-handed sandwiches. 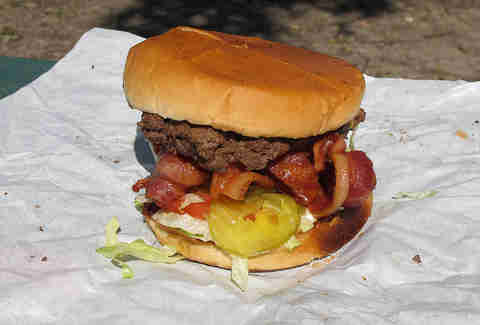 Not that burgers are for the health-conscious in general, but note that the bacon here, should you order some as a topping, gets a dunk in the fryer for curly crispness. Your taste buds will thank you. 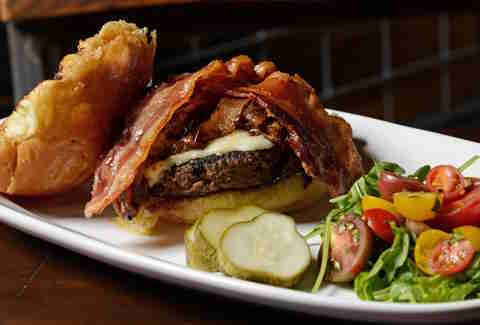 In case you haven't heard about this world-class bacon cheeseburger, it's 10oz of house-ground beef with sharp white cheddar and peppered bacon served exclusively at Sunday brunch, and the recipient of many local and state burger kudos. 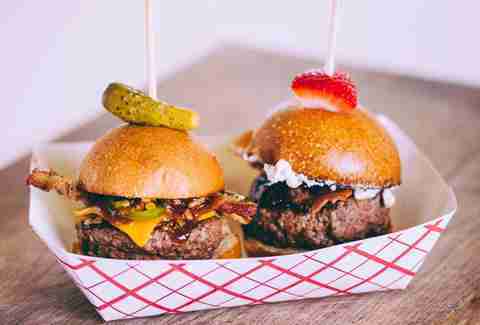 In a new development, you can now get a petite version of the classic at happy hour on Thursdays. Yay, pre-Friday! Yes, you'll have to catch up to this well-loved food truck to indulge in this burger treasure, but it's so worth the chase. Beef sliders get a schmear of goat cheese, strawberry jam, and bacon that unite into sweet, tangy, salty perfection in your mouth. That this only comes in slider size is almost too cruel. Far from focusing only on sammiches of the turkey, roast beef and Cuban variety, this popular Deep Ellum spot gets much love for its burgers that come in single, double and triple stacks. As with most things in life, you'll never go wrong with cheese and grilled jalapenos added as extras. Farah Fleurima is a Dallas-based food & travel freelance writer who appreciates a fine set of artisanal buns. Peep her food-fanatic musings at her blog The Dallas Diva, and follow her on Twitter at @TheDallasDiva.